There is outdoor seating at the front, which then goes through into the cafe area. The kitchen, counter and cake fridges are in the middle of the cafe area and then there is extra seating area at the back. The back area seemed like it had a lot of daylight coming into it. The weekend brunch started off with smoothies. 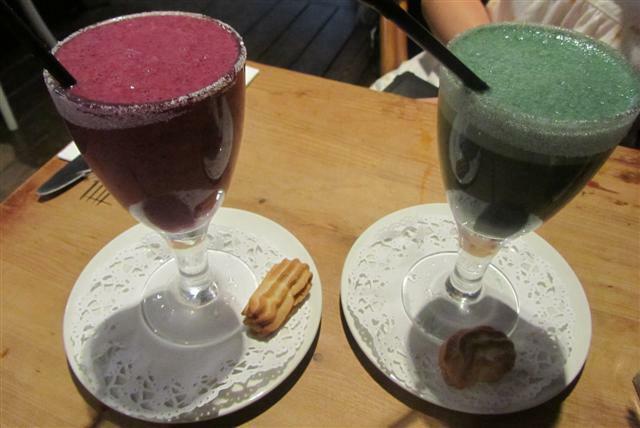 I had the berry smoothie and my friend had the spirulina one. Both were presented to us beautifully in sugar edged glasses and a Viennese biscuit on the side. A bright colourful start to our Sunday. My berry smoothie was delicious. I’m not sure which berries were in it but I think that I could also taste banana. My friend said that her spirulina one was equally enjoyable with a sweet apple like flavour. This surprised me as from its green colour, I was expecting it to taste bitter. 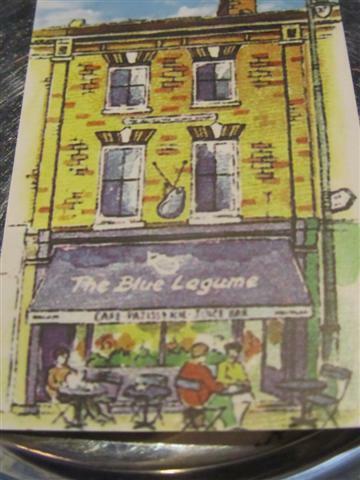 The Blue Legume had many items on the menu including breakfast dishes, salads, burgers and paninis. I narrowed it down to two of the breakfast items, one which was a Mediterranean breakfast of grilled halloumi, feta cheese, poached egg, olives, jam and toast. 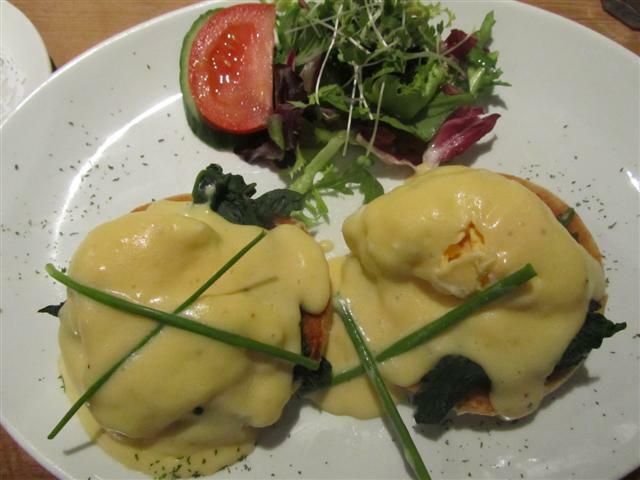 But then I decided to go for the classic eggs florentine. The eggs florentine came with some salad. The poached eggs were cooked with hard yolks, as I had asked for them to be as such. The hollandaise sauce had a lovely tangy flavour and the toasted muffin was soft. It also had a good amount of spinach. The staff were friendly and provided us with a great service. The Blue Legume had a really cute and quirky feel to it. The tables were all decorated with pretty delicate pink flowers in small vases. 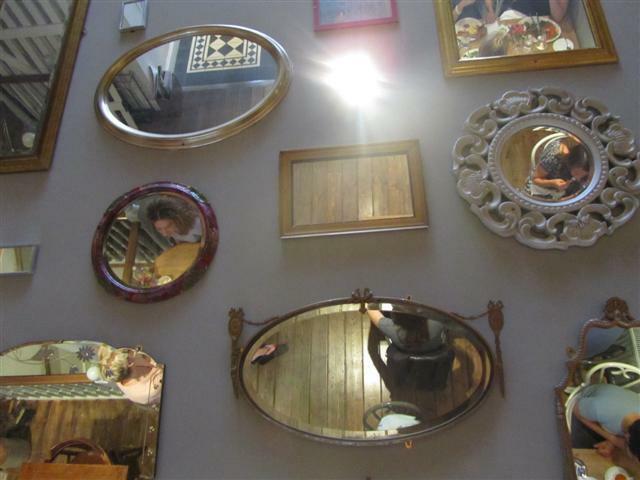 The ceiling was covered with different styles of mirrors. I only noticed this once my friend pointed it out. 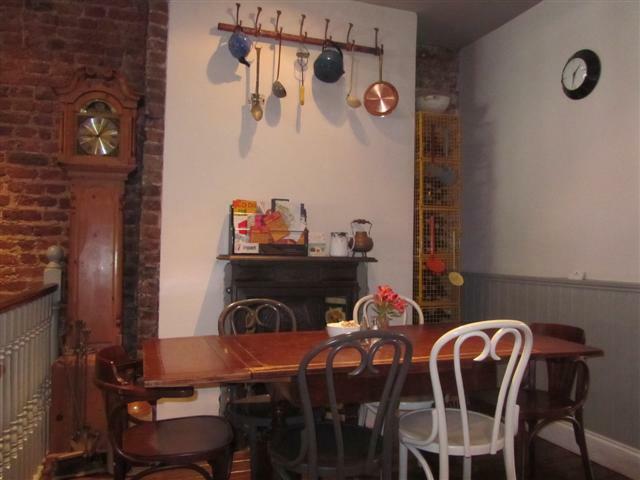 There was a grandfather clock as part of the seating area. It felt a bit like you were in a country style cottage. 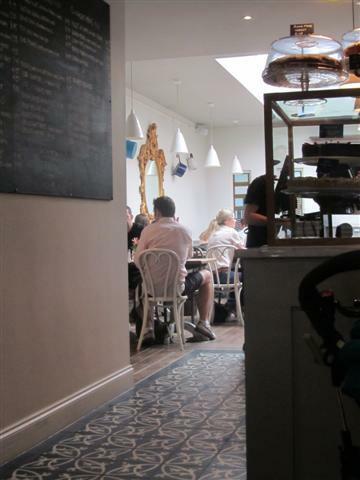 The Blue Legume is a gem of a place with lovely staff and good quality food.